Last night I was able to hear Lee Strobel live. Click here for his bio. He not only is a gifted writer (The Case for Christ) but anointed speaker as well. 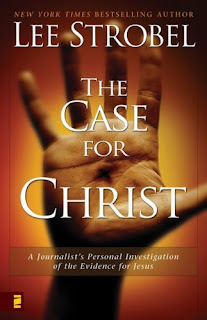 Here is the link to his website leestrobel.com. Check out his page to find out answers for your faith questions. I encourage you to also check out the video links. Be encouraged! I pray that your faith may be strengthened! sounds like a great person i'll check him out..